Hey hey hey! Weddings can be SO STRESSFUL. Ive shot enough weddings to see a glimpse into wedding planning and how much goes into it! From a photographers perspective I want to give you some ideas on how to make your wedding unique to YOU. 1. My first and probably my biggest tip is to PLAN THE WEDDING YOU WANT! Listen to your friends and family & take notes, listen to their advice, BUT you know what you want. Dont let what others say change your mind from what you TRULY want! If you want a beach wedding with only 5 guests, DO THAT (do that and hire me lol) Or if you want the biggest wedding with tons of flowers and details DO THAT! You dont have to follow the trends to have a gorgeous wedding. Have a wedding that you will love and enjoy. 3. Choose your favorites for wedding meals, songs, activities. I have a close friend who had mac and cheese (like the best mac and cheese ever) served at her wedding dinner, popcorn was served as a treat, and ICE CREAM CONES. I pretty much died. What is your favorite food & how can you incorporate it into your wedding dinner to make it more unique? This is just one example but their are so many little things that you can do to make the wedding match YOU and also still be hella cute! 4. My fourth tip is to DELEGATE. Give your bridesmaids tasks to be in charge of on your special day so you can truly enjoy it! Have people help set up the decor so you don't have to worry about that stuff. Seems super simple but really, use your bridal party to your advantage!! 5. My last tip is a simple one. This is building a relationship with your photographer/videographer. They are most likely going to be spending the whole day with you and you want the vibes to be realllllly good. I love when I can meet up with my clients before and really get to know them. Grab a drink, grab food, go to the dog park... Whatever it may be just get to know each other and make yourselves comfortable with each other. Also just remember to be in the moment with your lover. Don't let outside distractions take away from your day. BREATHE. If one thing goes wrong, dont let it phase you. You got this and usually those little things are fun to remember. I hope some of these have helped you feel more confident while planning your wedding! 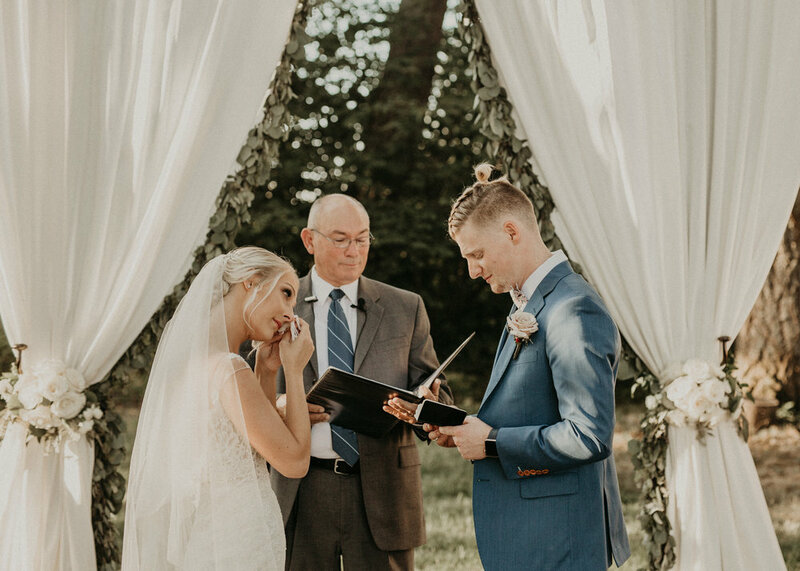 Don't be afraid to ask questions because your photographer typically knows a lot about the wedding industry and we will never hesitate to help in any way! Thanks for taking the time to read this!